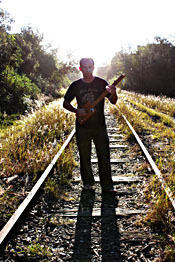 I'm heading up to play at the Agnes Waters Blues and Roots Festival from 22nd to 24th February: http://www.agnesbluesandroots.com.au. I'll also have a little stall on site. The whole family is coming along and we'll be camping right on the beach. Pretty good stuff. I'll be playing my cialis online cigar box guitar alongside Caroline Hammond and my set times are 4pm Friday, 22 Feb and 11am Saturday, 23 Feb. Hope to catch up with you! 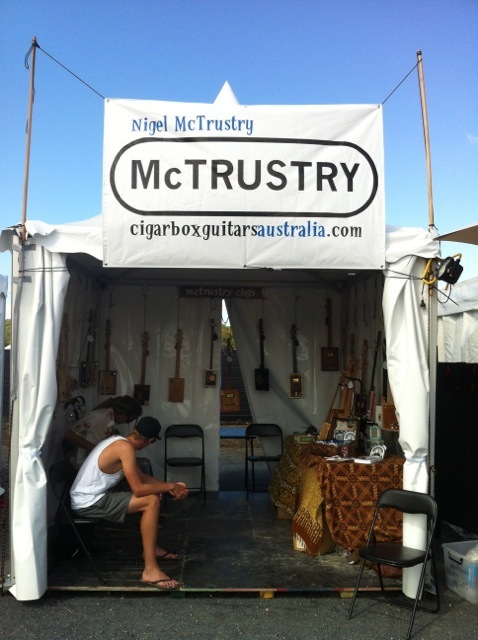 I've just recorded some more 'how-to-play' cigar box guitar videos, which are now on my website under getting started. Feedback and comments are always welcome. Easter is only around the corner and I'm hard at work in the workshop. 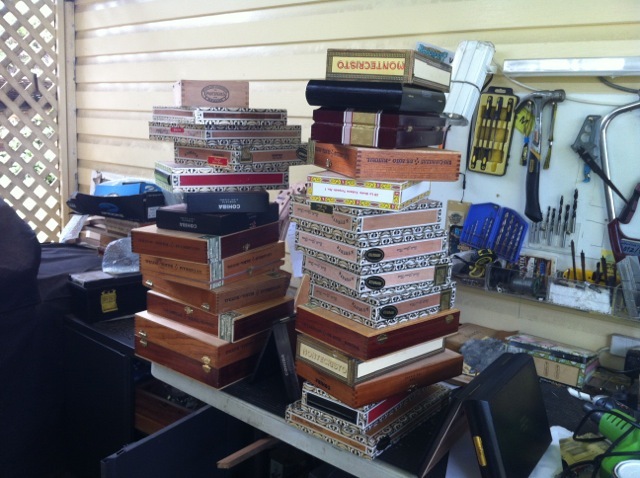 I had a delivery of some more cigar boxes from overseas. They'll keep me busy. I'll be at South Bank market in Brisbane on Sunday 10 February and at Broadbeach market on the Gold Coast on Sunday, 17 February. Below are some of the CBGs I have at the moment. Come and have a jam if you're around. Nigel McTrustry - Copyright © 2019. All Rights Reserved.